It would be marvelous if all the data we needed for our KPIs was on tap: automatically collected, collated and captured, and ready to flow into graphs, reports and dashboards. Marvelous, but unlikely. Manual data doesn't have to be a drag. 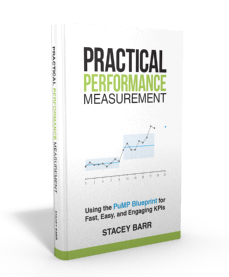 A relevant KPI measures direct evidence of your goal. It tells you the degree to which your goal is being achieved. 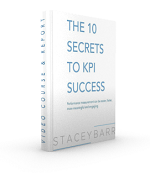 But when you look closer, many KPIs fail to do this. It's because of three mistakes in how we design those KPIs. Many organisations have a KPI mess: too many useless measures, not enough of the right measures, and little idea of exactly how many measures altogether. This mess is an unnecessary cost, and it’s not that hard to clean it up.